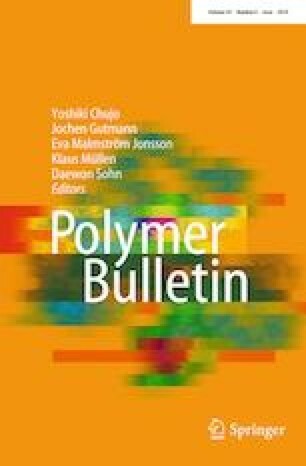 In this study, the influence of nanosilica (SiO2 NPs) on the mechanical, thermal and barrier properties of poly(butylene adipate-co-terephthalate) (PBAT) nanocomposites was investigated. The PBAT/SiO2 composites were prepared by solution blending technique. PBAT/SiO2 composites were prepared with different percentages of nano-SiO2 loading (1, 3, 5, 7 and 10 wt%). The relations of SiO2 NPs with PBAT matrix were analyzed by Fourier transform infrared spectroscopy. The mechanical properties such as tensile strength, % of elongation at break, tensile modulus and thickness were determined. The thermal properties such as thermo-gravimetric analysis were analyzed for the nanocomposites. The PBAT/SiO2 composites exhibit high mechanical and thermal performance than the pure PBAT. The nanocomposites were also investigated through scanning electron microscope (SEM) and transmission electron microscope micrographs to examine the morphology between PBAT and SiO2 NPs. In addition, the results of SEM acquired are in SiO2 agreement with the data resulting from FTIR and tensile strength of the nanocomposites. The nanocomposite shows improvement in mechanical and thermal stability than that of pure PBAT. One of the authors, R.V, acknowledges Dr. A. Tamilselvi, Principal Scientist, CSIR-Central Leather Research Institute, Adyar, Chennai, for helping in the biological studies. The authors also acknowledge Mr. J. Sandeep, Assistant Professor, Department of Printing Technology, Anna University, Chennai, for the very helpful discussions. Funding was provided by Centre for Research, Anna University (Grant No. CR/ACRF/2013-10).